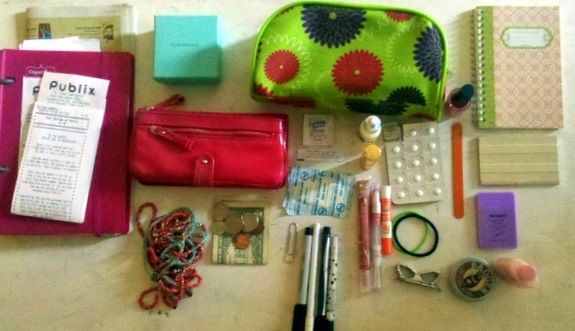 This weeks Whats in Your Purse Series purse is from Desi. Thank you! This thing is HUGE! It’s vegan, brand is something like UE but I don’t really remember, there are so many pockets that things seem to get lost inside. Got it at DSW for $35 on a whim. Necklace I made and took off at the end of the day. Pens, at least 4, always on hand. 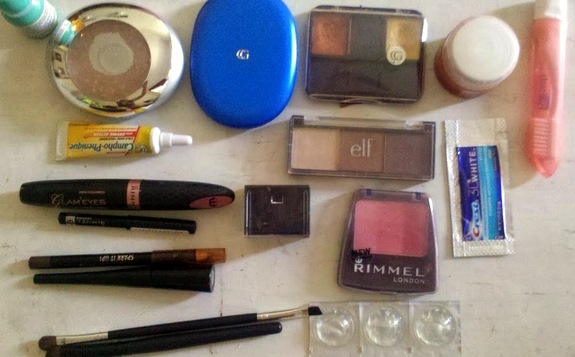 Lactaid, allergy pills/eye drops and those cushion things for your heels/blisters. Lipstick and 3 lip glosses. Nail polish, for pedicure days. 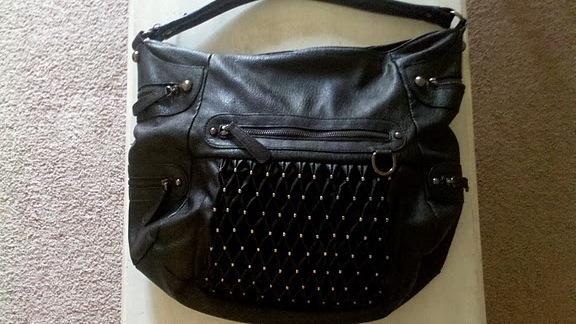 I love seeing into other women’s purses. What does that say about me, huh! ?